Throughout my three years of uni I experienced this A LOT, so developed my own patented Morning After Skincare Routine to limit the damage. Now depending on how many vodka lemonade and limes I had, I may have remembered to take off my makeup... if you're reading this with a false eyelash stuck to your cheek.. go grab some cleanser STAT! Right, a shower can also wash away a multitude of sins and vastly improve a hangover so jump in, wash your hair and use a gentle face scrub to ensure every scrap of makeup and shame is removed. 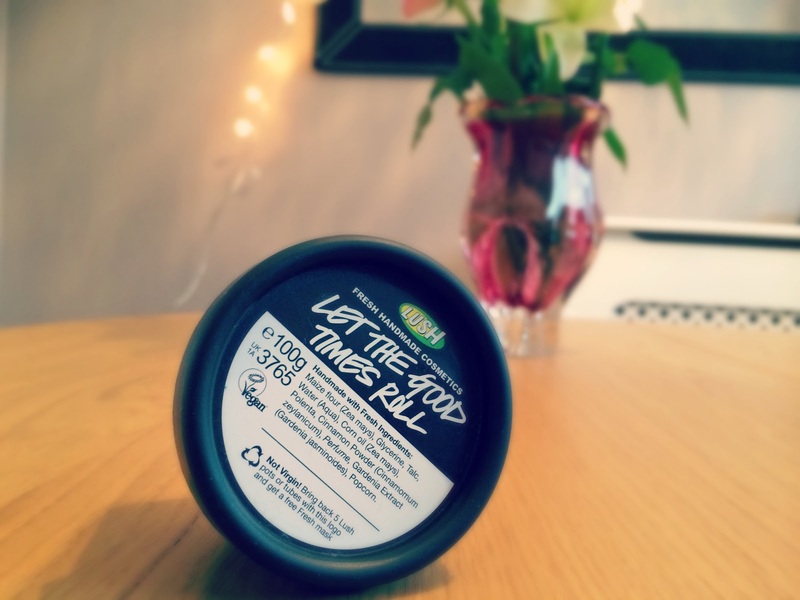 This lovely one from Lush smells like honeycomb and it's actually a cleanser with sugar and popcorn in it to help gently exfoliate the skin. Now you're out the shower and ideally in a onesie, use a refreshing toner. 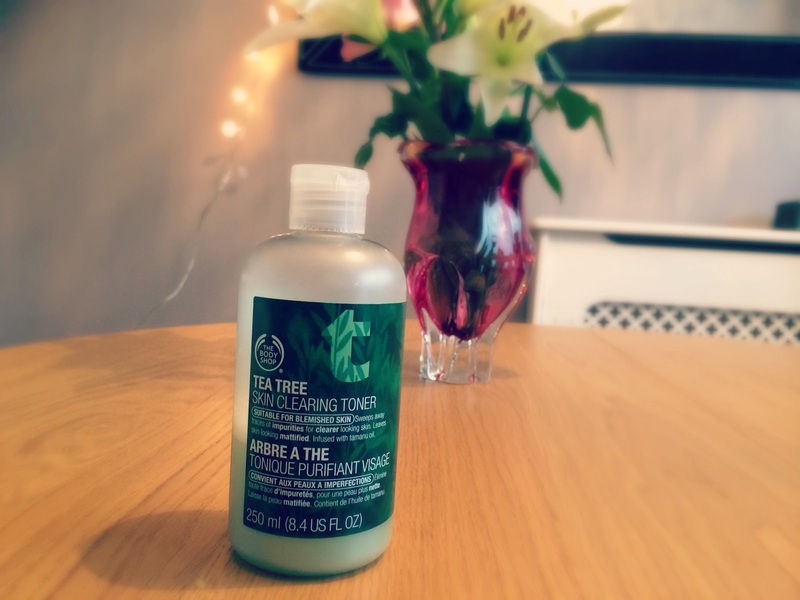 This one from The Body Shophas Tea Tree in it, it feels lovely and cool on tired skin. Because alcohol is a toxin, it can aggrivate existing blemishes and also cause more. 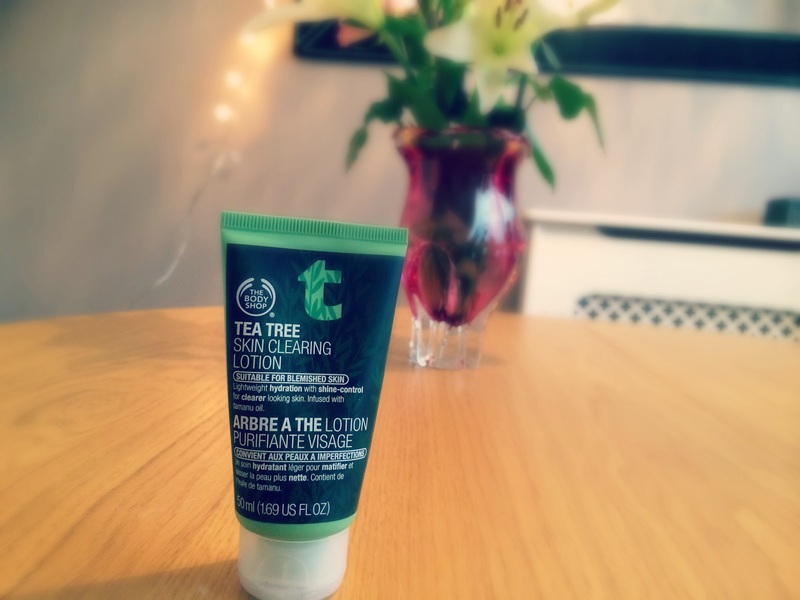 I use this Skin Clearing Lotion from The Body Shop before my moisturiser to help with this. 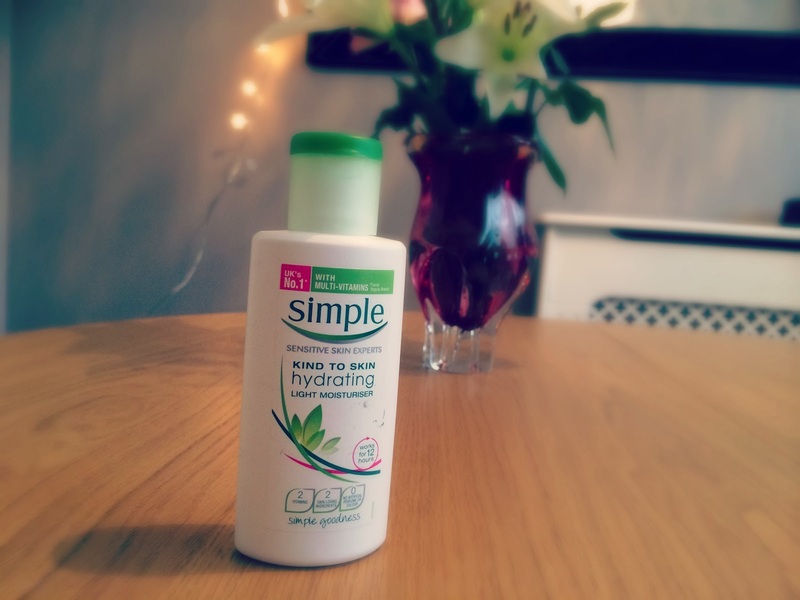 I then use my everyday moisturiser which is this lovely light one from Simple which hydrates skin without being too heavy. If the night ended in the cold or even rain, waiting for a cab, it may have resulted in some dry patches. 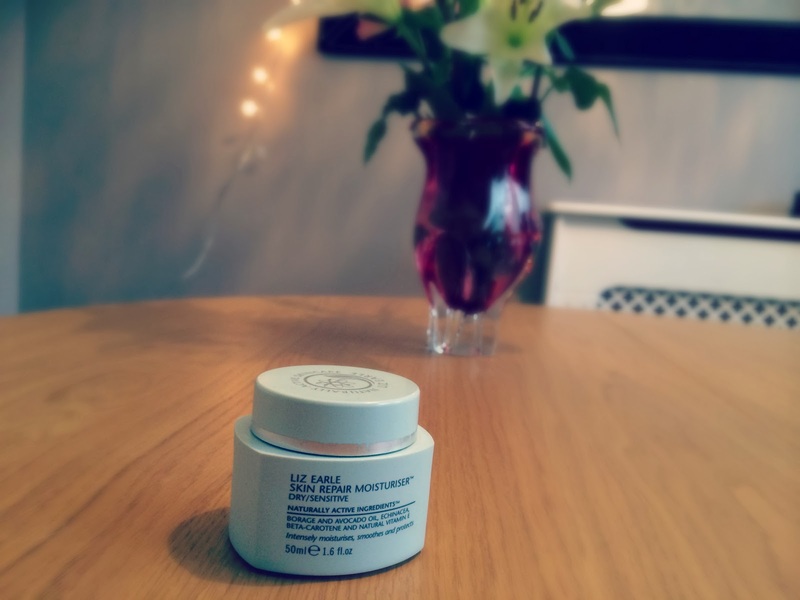 So I use this intensive moisturiser from Liz Earle to help with those! Now most of your face will hopefully be feeling a lot better, but eyes can be a serious hangover giveaway! 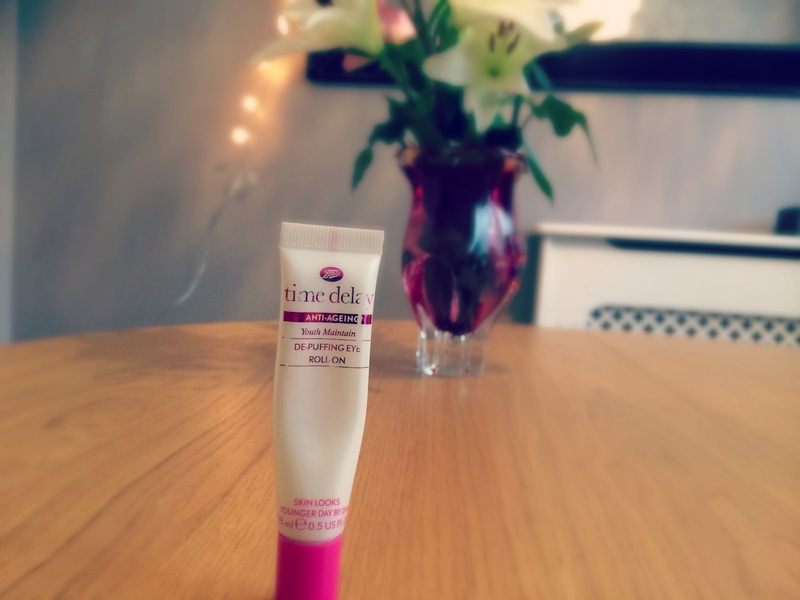 I like to use a Roll on Eye lotion to cool down the eyes and reduce any puffiness. This one from Boots stays so nice and cold and feels so nice on tired eyes! It will also apparently maintain my youth so that's a bonus! 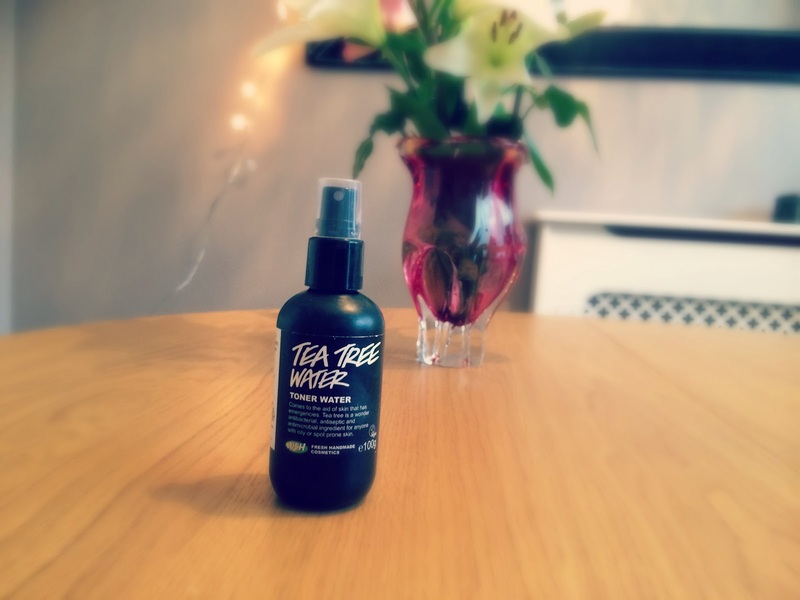 So you're pretty much done at this point, but throughout the day when you start to feel queasy, a little spritz of this Tea Tree Toner Water from Lush can really help wake you up and refresh your skin. And one tip I can't forget to add is WATER. 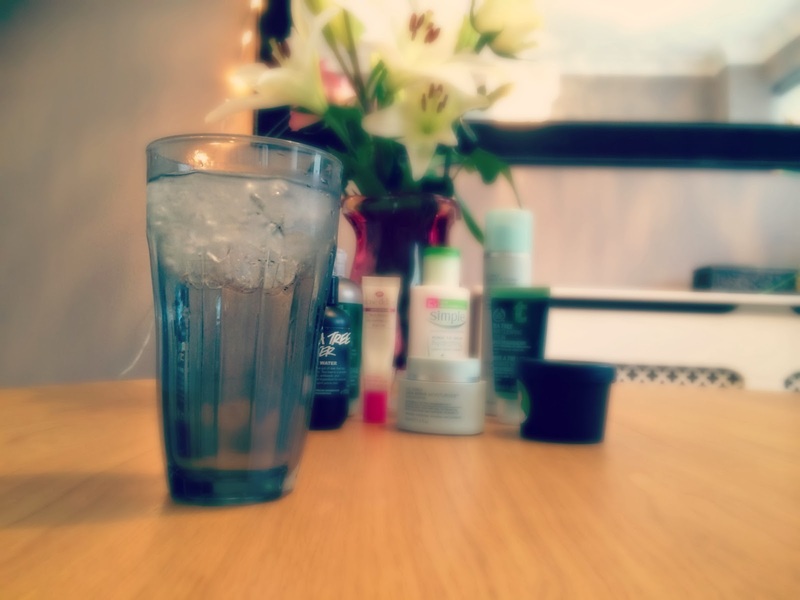 If you drink enough on a hangover day, it will not only help you recover quicker, but it will flush out any toxins and help prevent any hangover breakouts! Go make the most of your Sunday knowing you've done your best to protect your skin! Great post! Nothing like giving the complexion a bit of love after a big party session.